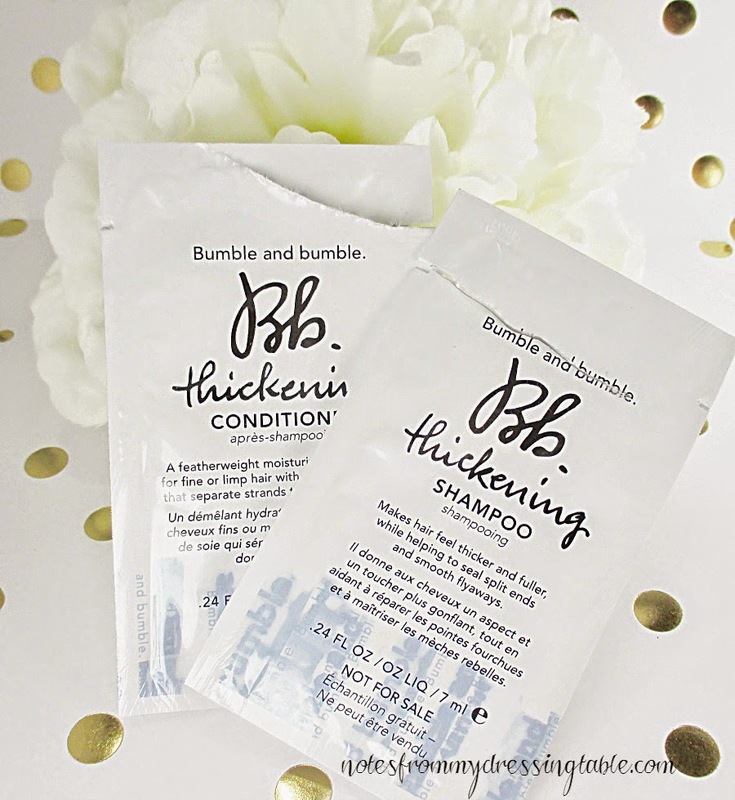 Bumble and Bumble is a hair care brand that gets a lot of love in beauty circles so I was happy to try these sachet sample packs of Bumble and Bumble Thickening Shampoo and Conditioner. This line claims to make fine, limp hair feel thicker and fuller, help seal split ends. This shampoo and conditioner smells really good and the lather from the shampoo: 8 oz. $25.00, was very nice. Soft and cushioning and got my hair lovely and clean in one go without leaving it feeling dried out when wet or all ratted up. The conditioner: 8 oz. $27.00, was very lightweight, almost too lightweight for my dry, colour treated tresses. Wet slip with the conditioner on my hair was okay, not great. Wet comb out after blotting wasn't bad. I was pretty happy with how slippy this conditioner made my hair, in spite of it's being so lightweight. After drying, my hair felt soft and fairly smooth and it was pretty shiny but it could have definitely used more moisture and coat. Did it look and feel thicker and fuller? Not really. My hair has pretty decent natural lift and body and I honestly didn't see any difference after using these samples. Would I invest in these products in the full size? Nope. Not because I object to the price... 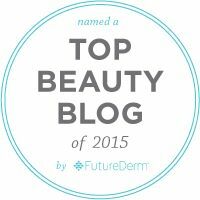 I'm currently addicted to Pureology and we all know how much that stuff costs. I just don't think it's any "better" than any other volumizing shampoo and conditioner I've tried. And if I'm going to invest in higher end hair care I'm going to get stuff that really blows my hair out of the water. 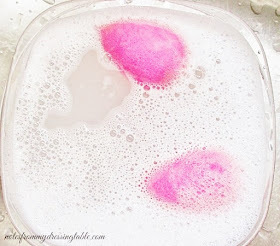 Bumble and bumble products are available at fine salons and Sephora. Sounds like this sample was the perfect way to try this product. Sorry it didn't work for you - from the sound of it, it's not for me, either. I like more slip and moisture. Way too expensive for me so I probably won't buy them to use.